The Manitoba Moose, Red River Co-op and the St.Amant Foundation partnered for Autism Awareness Month. Fans at Manitoba Moose games purchased autographed player puzzles, bid on game worn Autism Awareness jerseys and donated at Red River Co-op gas bars and food stores, raising $16,992.68. 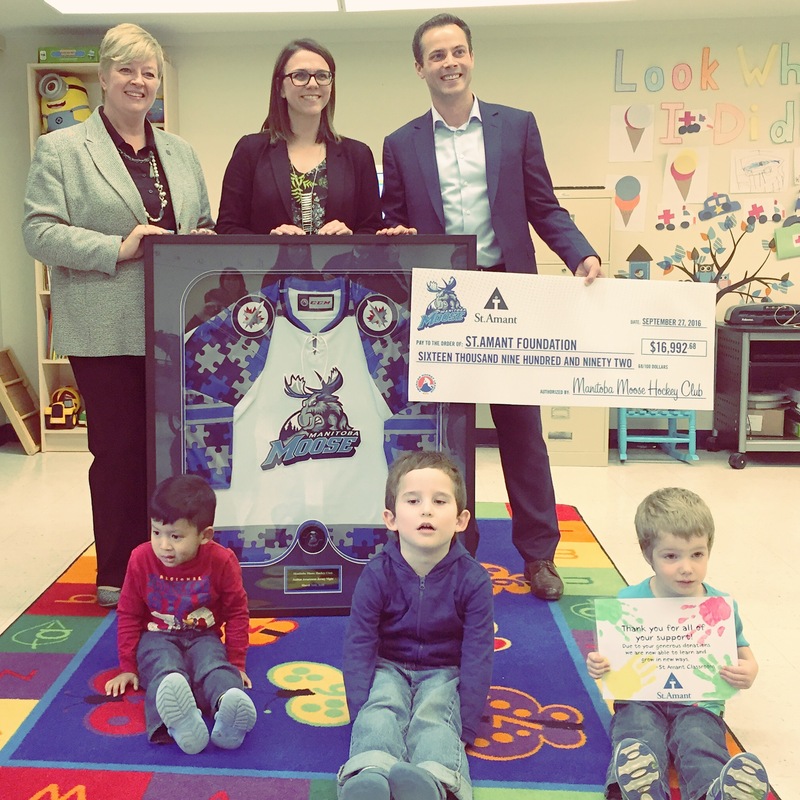 The Moose presented the cheque to the St.Amant Foundation in an early learning autism classroom for pre-school aged children. “These items will make a meaningful difference and enhance group learning experiences for the children attending the classrooms,” said Dr. Kerri Walters, Senior Manager, St.Amant Autism Programs. St.Amant is excited to partner with the Moose again for another #Autism Awareness game on March 24, 2017. Tickets are available at MooseHockey.com/Tickets.